In Europe, players are questioning the PE outlook for November amidst opposing factors. On one side, two PE producers voiced their intention to seek sharp hikes. On the other, there are lower upstream costs, weak supply-demand dynamics and new PE capacities from the US. Dow and Borealis are mulling over issuing visible hikes of up to three digits on their November offers, pointing that LDPE and LLDPE prices have been dealt below the monthly ethylene contract level for the past few months. Accordingly, the need to recoup margins encourages sellers to look for hikes. Meanwhile, as for November ethylene contracts, some expectations are calling for a stable outcome. Some are even anticipating small increases as it was the case last month while others are pointing to the upstream markets and expecting a discount. 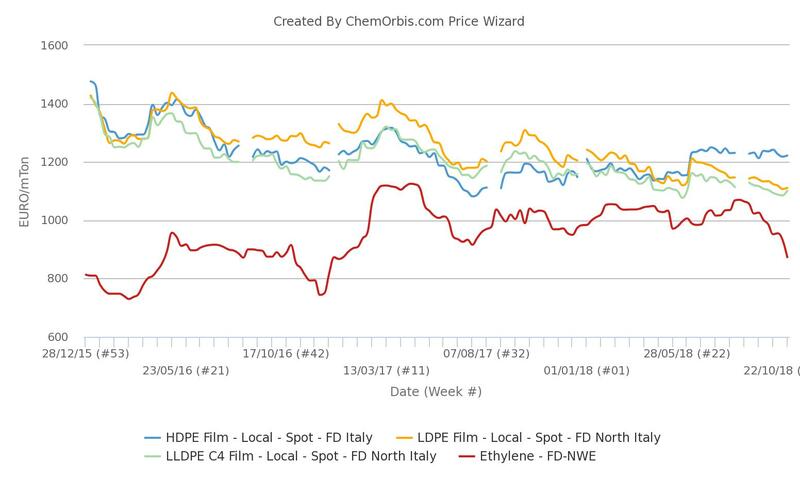 Long supplies pulled spot ethylene prices to their lowest levels not seen since early January 2017 on average, according to ChemOrbis Price Wizard. Data also show that Brent crude futures and naphtha prices have been on a downward trend for the past 3 weeks in Europe. Regardless of the losses in spot ethylene, PE sellers seem determined not to concede to further price erosions, arguing that prices reached very low levels. As can be seen on the graph, average PE prices rebounded every time they moved near or below the €1100/ton threshold in the past few years. However, buyers find these hike intentions unworkable given the lack of supply issues across the region as well as the ongoing sluggishness of demand. 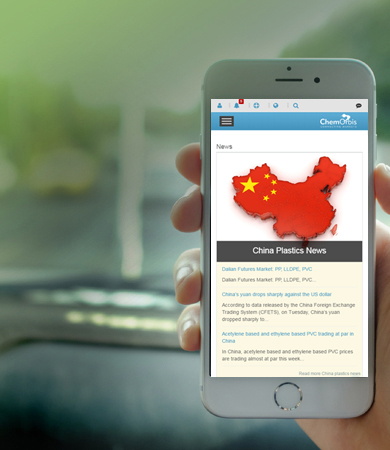 Plus, the awaited US PE cargoes amidst the ongoing trade war between China and the US as well as global economic concerns cast a shadow on bullish expectations. South East Asia and Turkey’s PE markets have already witnessed competitively priced US PE cargoes in the recent months. There were also some comments that producers might reduce rates at their plants to increase or at least prop up PE prices. It remains to be seen whether PE prices will rebound from their current levels or to what extent sellers will manage to push their PE prices up.